In this next installment of the USAID Pounds of Prevention series (PDF), we travel to Bangladesh. 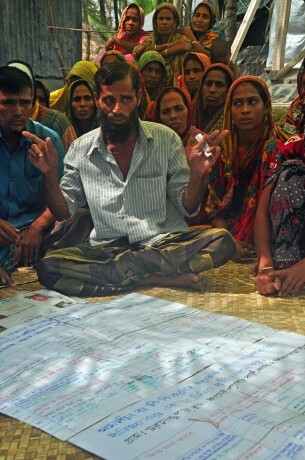 Disaster risk reduction activities have saved countless lives in Bangladesh. Above, villagers discuss priorities for disaster preparedness, including reconstructing roads affected by previous cyclones, protecting fresh water sources and improving home foundations. Photo by Robert Friedman, USAID.